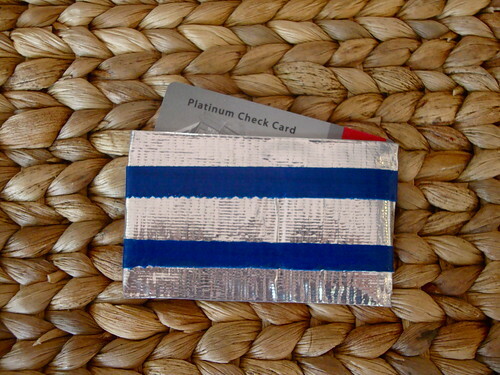 Posted by Vickie Howell on May 4, 2010 at 11:05 AM in General Crafts, Great Gifts! Sometimes it's the small gestures that make us feel the most appreciated. This week you can show your child's teacher a little love with these mini, mementos of gratitude! A spice jar filled with a single serving of solitude--whether it be to eat, drink or soak in--is an easy way to give a bit back to the molders of our wee one's minds. Got 5 minutes (not including dry time)? Then you can make a deserving teacher this treat. 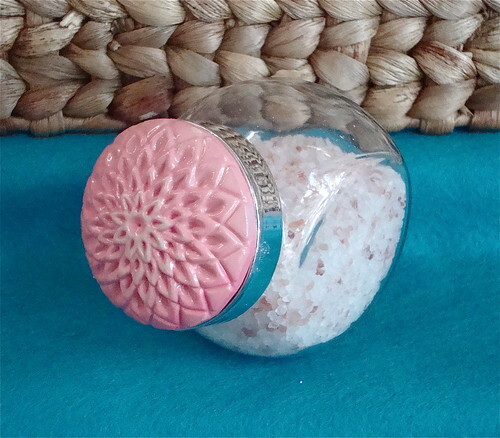 Fill container with bath salts--spice jars hold the perfect amount for one, luxurious bath! Using hot-glue or other strong adhesive, affix an over-sized button or brooch onto the lid of a spice jar. Let dry. Note: If the button or brooch you choose has a shank or pin preventing it from laying flat on the lid, just break that part of with a pair of pliers or jewelry snippers. 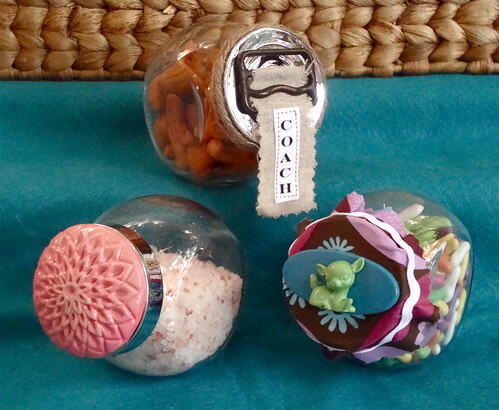 Be sweet to "Teach"; create a candy container just for him or her! 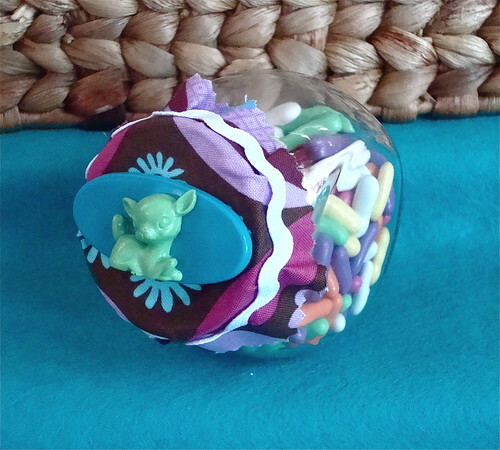 Fill a small jar with a colorful, sugar-y treat. Psst...this project is a also a great teaching opportunity-- encourage thoughtfulness by getting your child to ask teacher what their favorite candy is! Cut a circle of fabric about 2" larger than the container's lid. 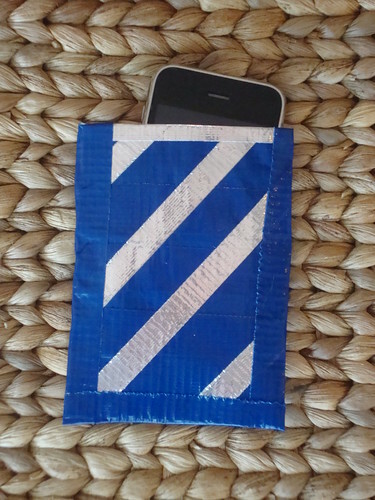 Using regular ol' glue, cover lid with fabric. 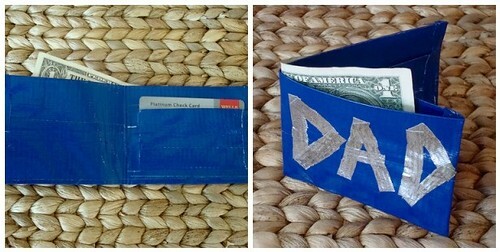 Glue on a bit of trim around the lid sides; add an optional trinket embellishment to top it off. Go nuts for the teacher who prefers salty snacks. Fill a small jar with gourmet cashews--the perfect, healthy solution for the mid-day hungers! 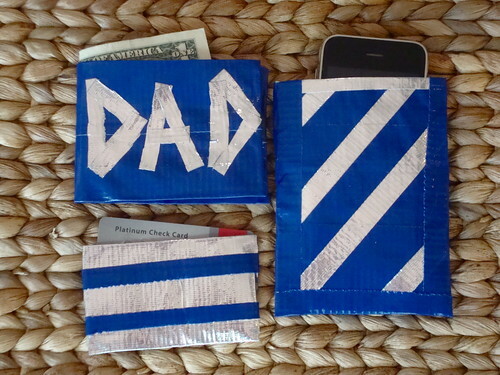 Tiny treasures don't have to look feminine. 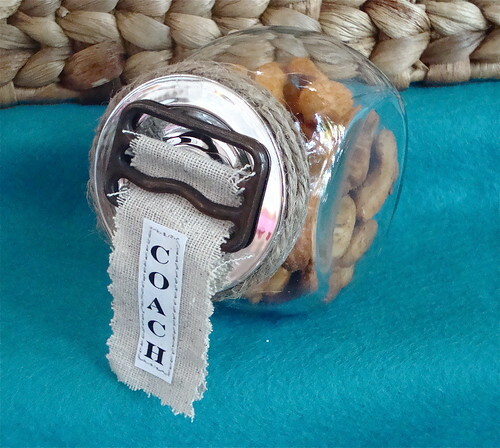 A recycled buckle embellished lid that's been wrapped with twine, give gift jars a more rustic style. 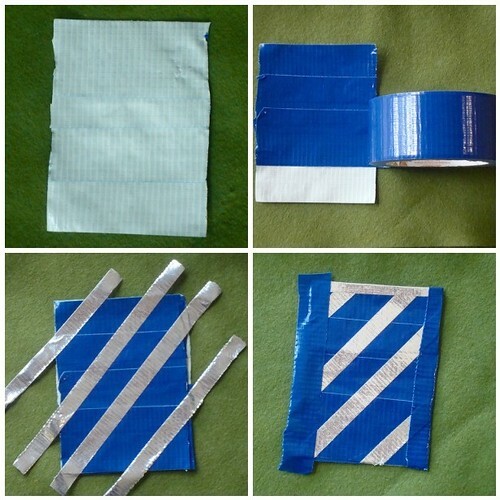 Print out a name or message on paper, glue or sew it to a strip of cotton and attach it to the buckle for an extra, personal touch! As the daughter of a teacher, I just want to send an extra loud shout-out to all of you amazing educators out there who tirelessly enrich the lives of our children. Your hard work and dedication are something that the students you've encouraged, will carry with them for the rest of their lives. Thank you!